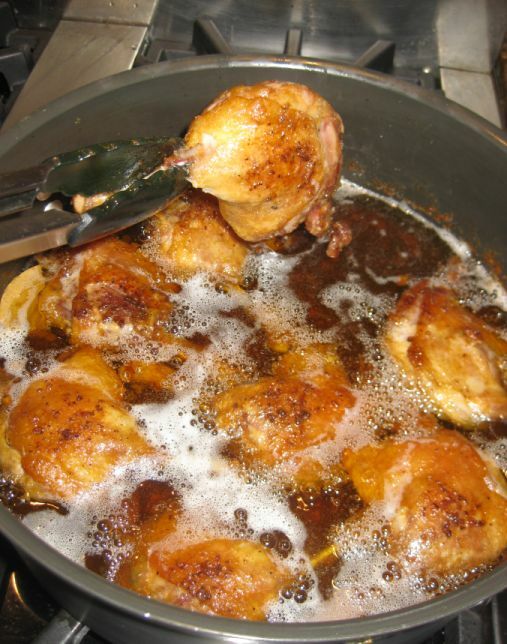 Our family love duck confit but I never try to make it at home because it takes so much time to cook the duck and the recipe requires a lot of duck fat which you can not really buy at a regular grocery store. 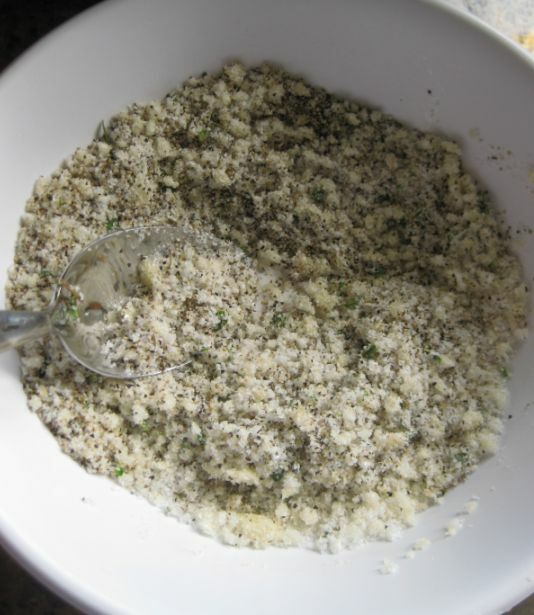 What I did is I have been saving duck fat in my freezer for a while and I finally have enough to use it in this recipe. 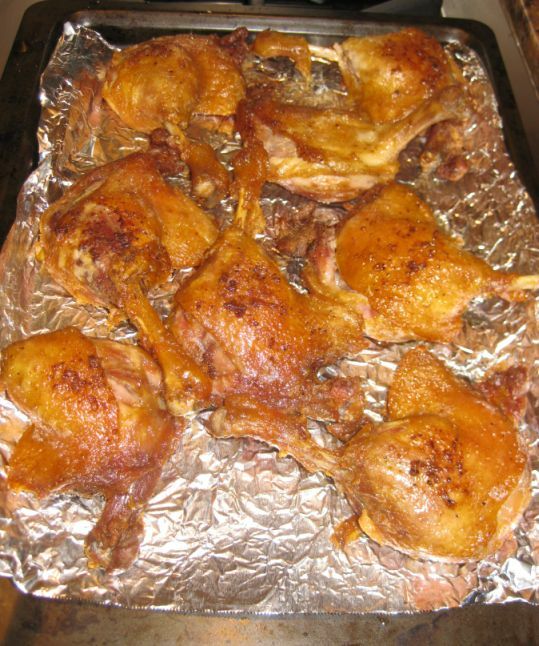 Duck confit is a bit intimidating to cook but I decide to go ahead and give it a try. 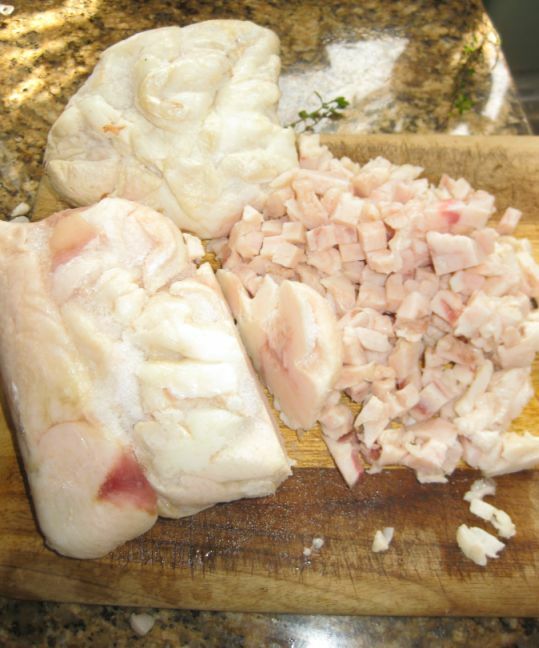 Duck confit meat is tender and has an amazing crisp skin. 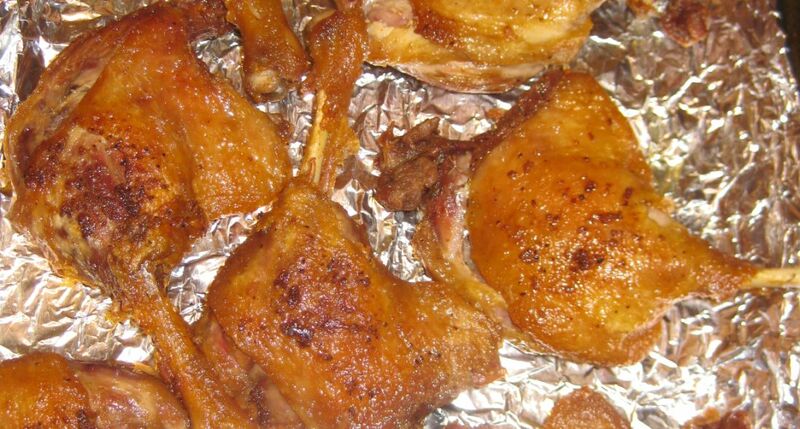 What's not to like or love about duck confit? Sure you can buy, which I usually do, but confiting it at home is a really rewarding experience. 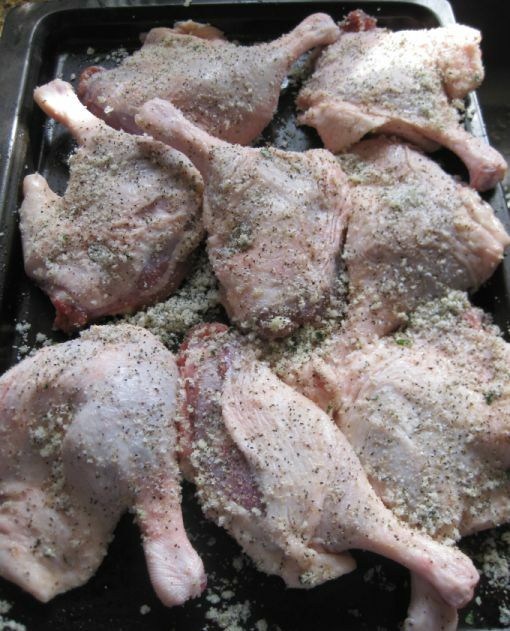 The duck meat is first cured with a mixture of salt, sugar and spices and then cooking the meat slowly in its own fat. This is one of those old fashioned techniques that is truly amazing. Nothing tasted quite like it! 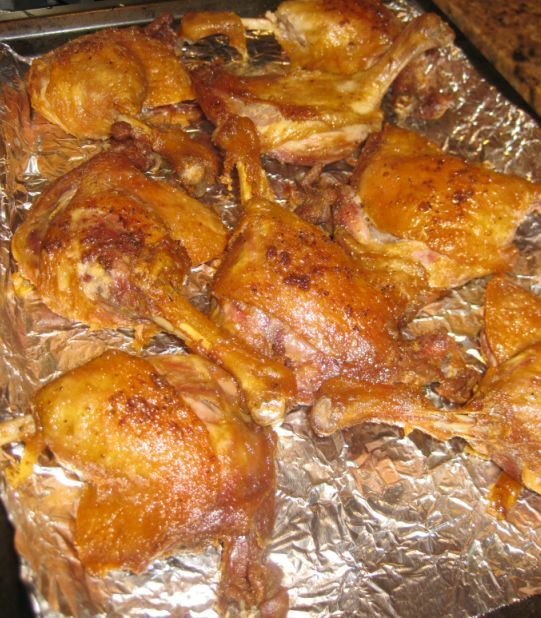 The duck confit is nicely browned and it looks really appetizing. 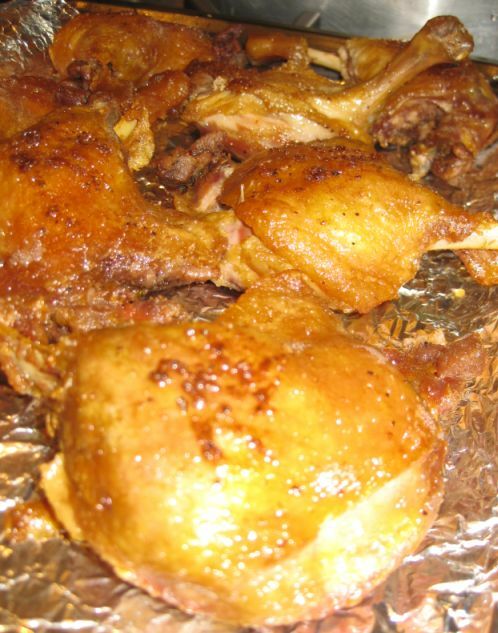 Close look at the duck confit. 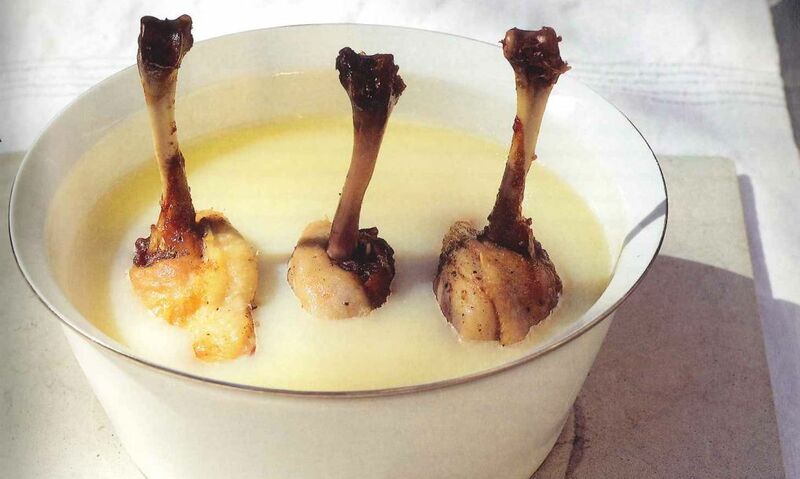 Traditionally duck confit is kept in the fat to preserve it for months at a time. Storing the duck confit this way the duck flavor continues to intensify. 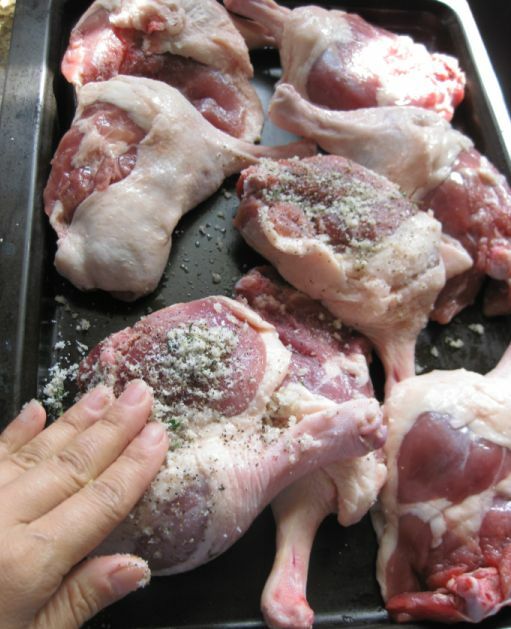 If you want to store the duck in the fat, keep the meat submerged and refrigerate and it will last a few weeks in the solid fat or you can freeze the duck by itself without out the fat. 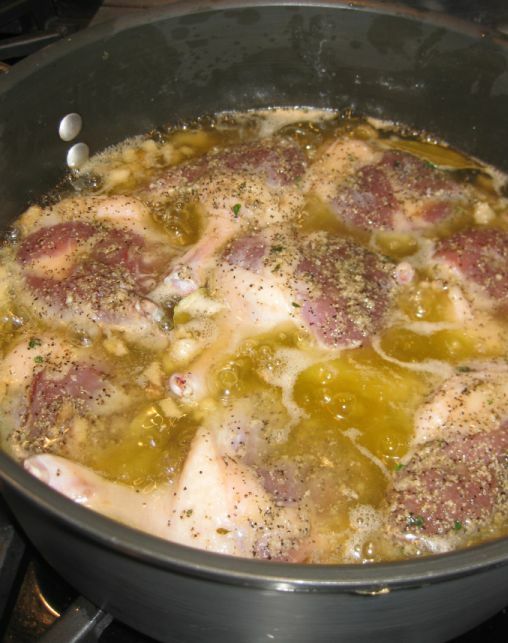 Once the meat is seasoned, cover and refrigerate for at least 3 to 4 hours or overnight. 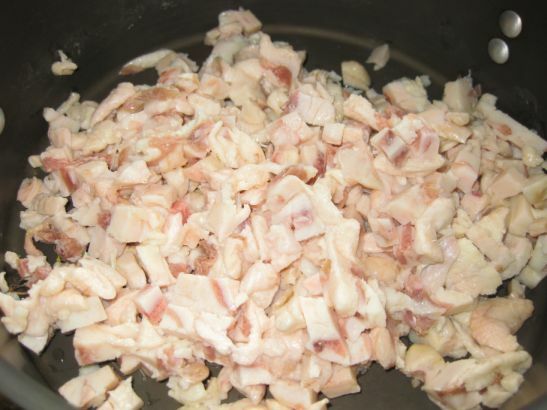 Cutting the duck fat into small cubes. 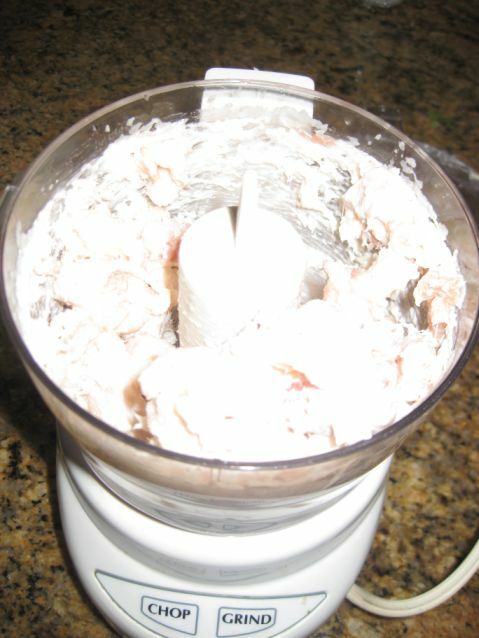 Put the fat in a grinder so that it is easy to melt the fat. 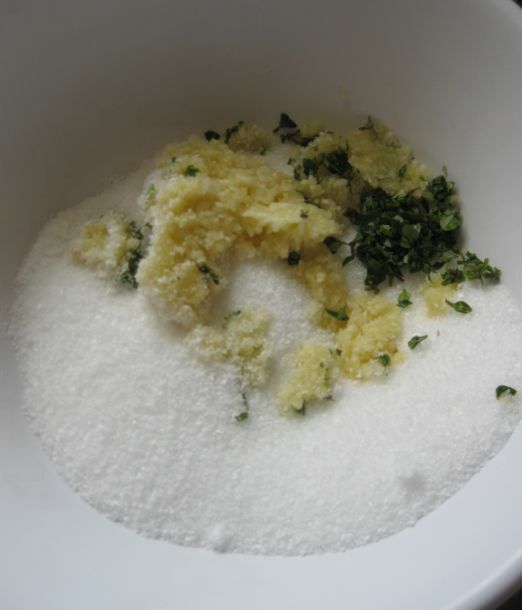 Don't rush it, just let the fat melting slowly. 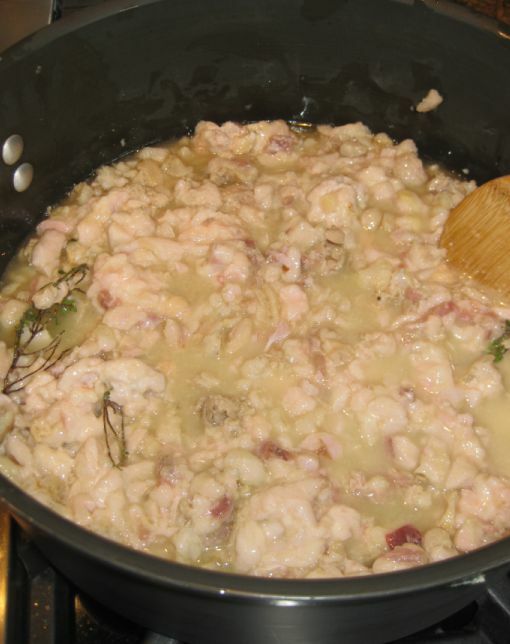 add the bay leave and thyme sprig (remain) and keep stirring the fat around..
Add the duck legs inside the pot. 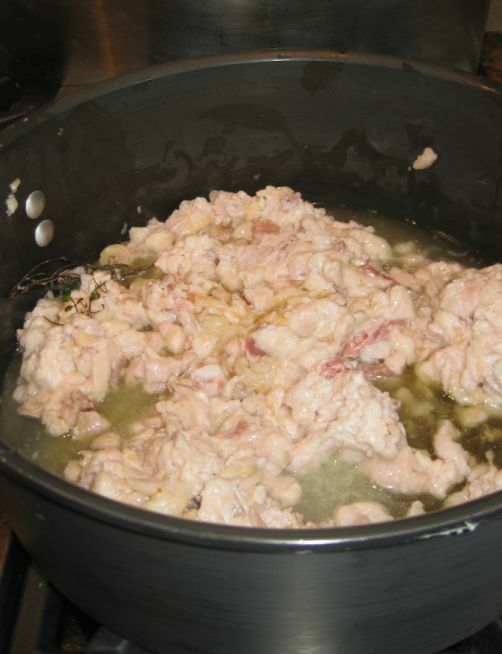 Let it simmer for a good 3 hours. 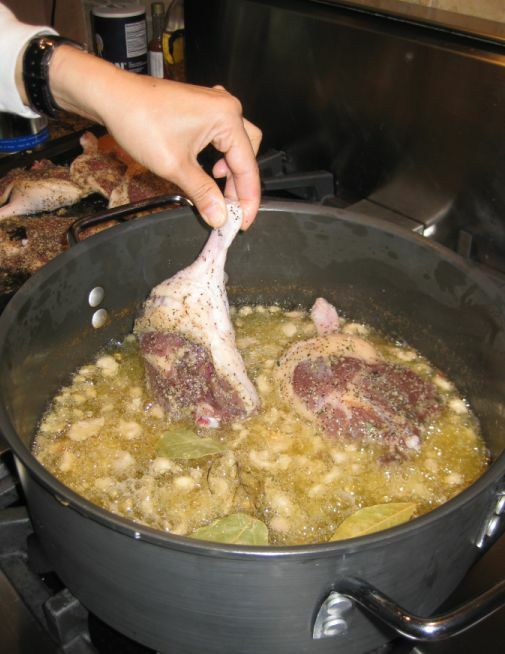 After about 3 hours + I am removing the duck leg from the pot. 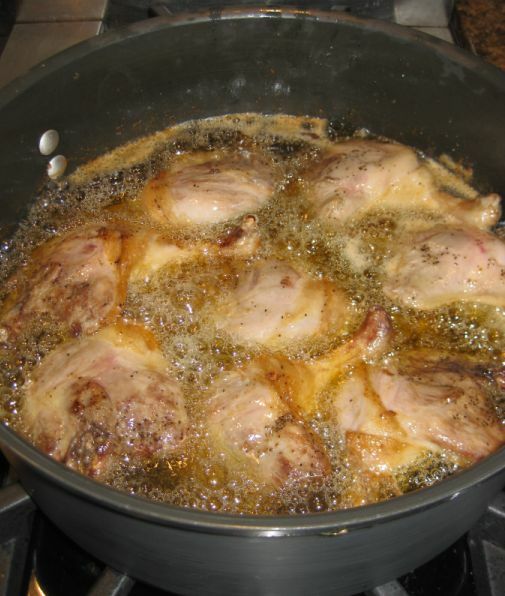 I am just letting the duck confit resting on a pan and then I will store it for future use.